Redcliffe Energy SEM1060 series is a modular level Smart Meter offering based on Redcliffe pluggable communication device technology. Metering Solution consistently delivers the power consumption and power quality data to gain visibility at the edge of the grid. SEM1060 family has been designed to allow for the interchangeability of AMR/AMI modules and cover the broadest range of possible AMI communication technologies including RF Mesh, Cellular, Power Line and Ethernet. 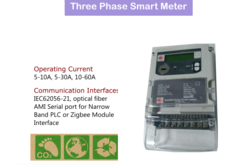 Modules can be added at the site, or replaced with another compatible module on the field as the Smart Meter communication is inter operable regardless of Communication Media. 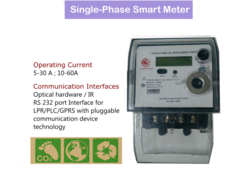 TM100 series is a modular level Smart Meter based on Inesh pluggable communication device technology. Redcliffe Energy Metering Solution in a pluggable communication form factor enables the customer to choose the choice of communication option. TM 100 family has been designed to allow for the interchangeability of AMR/AMI modules with AMI communication technologies including RF Mesh, Cellular, Power Line and Ethernet. Modules can be added at the site, or replaced with another compatible module on the field as the Smart Meter communication. Looking for Smart Prepaid Meters and Solutions ?